Lebanon is considered to be one of the most beautiful Arab countries, not only is it rich in culture and history, but it has the most beautiful weather and moderate climate. The country is located on the Eastern shore of the Mediterranean Sea, surrounded by two parallel north and south mountains. 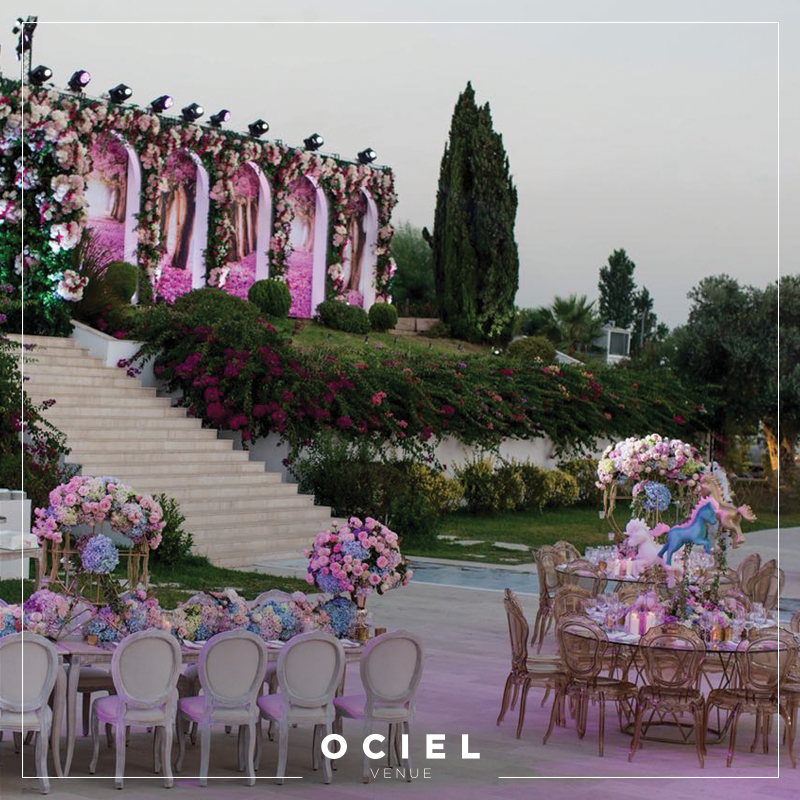 All this makes Lebanon a beautiful and magical country for weddings, whether local weddings or destination weddings; it has many different wedding venues to offer, from outdoor wedding venues located on beautiful beaches, wedding venues surrounded by mountains and ski resorts, to the most luxurious indoor ballrooms - all fit for fairytale weddings. 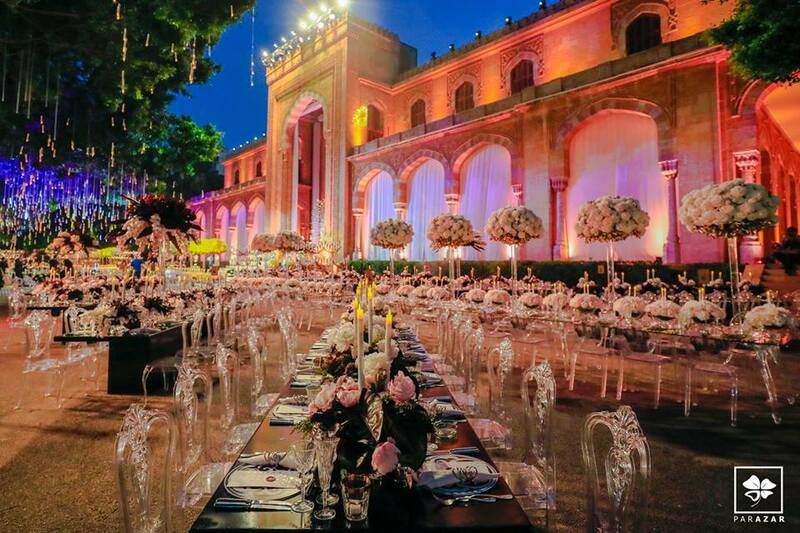 And indeed, Lebanon hosted many fairy-tale like weddings over the summer season, which you can take a look at in this Destination Weddings section. This breath-taking hotel is a perfect pick for a wedding celebration. Floral decorations, lights, and crystals are a trademark of this luxurious hotel. Whatever your requirement is, this place will definitely fulfill. It is distanced from the city crowd, which is great, butut, at the same time, it is close to everything. It offers you a 360-degree view of Beirut on the 26th floor. This can be turned into a magnificent celebration with a lot of fireworks that will overshadow the rest of the city. 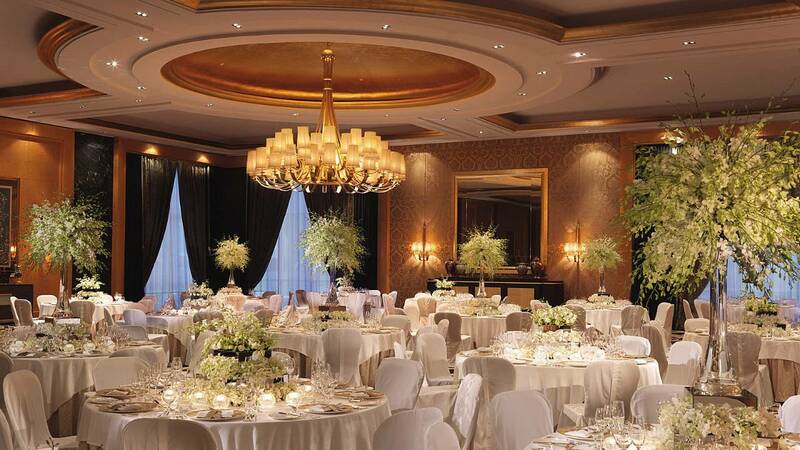 Four Seasons Hotel is the best choice for pompous weddings with a dazzling space. This place is a combination of a history and the present. It has moments from the past so nicely improved and packed in a modern vesture. Based at 350m above the sea level, with a beautiful view and the open concept, you will have exactly what you need. The weather is always nice in this area, so why wouldn’t you take advantage of it? It can host up to 1400 persons, believe it or not. A big plus for this place is a lot of verdure, which fit perfectly into the light show effects. Photographies of your wedding in Domaine De Zakrit will for sure be magazine covers-like. 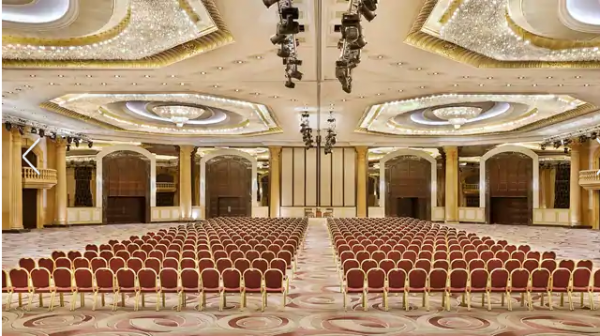 One of the most prestigious hotel conference centers in Beirut, Hilton Habtoor Grand offers ample accommodation and professional event planners for any type of gathering including wedding celebrations. 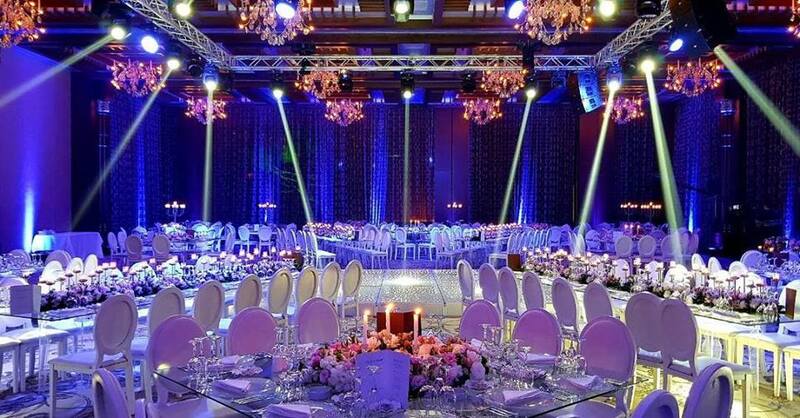 With space for 3,000 persons, the Emirates Hall is the largest venue in the hotel and one of the largest in Lebanon. Onsite planning and catering teams have experience organizing large events to the last detail, with the world-class hospitality for which Hilton is renowned. Seating arrangements, stage setup, bespoke menu planning, audiovisual equipment, and activity planning are all at your fingertips. 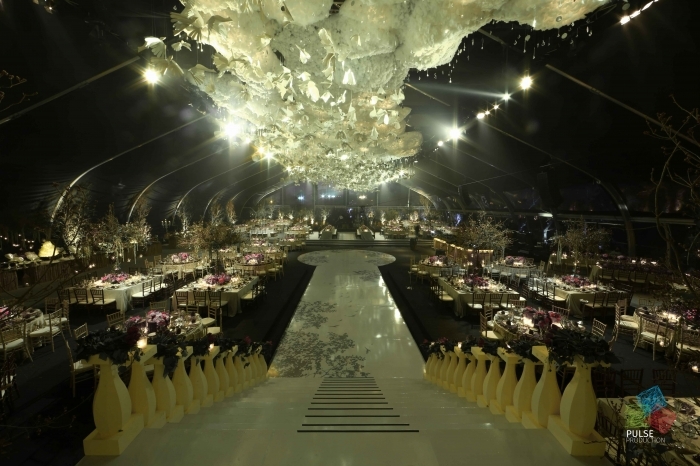 A wonderful venue and professional planning create a truly unforgettable celebration. Phoenicia’s Grand Ballroom has hosted numerous wedding events owing to its reputation and versatile space. It can accommodate large weddings hosting up to 800 guests, as well as, cater to smaller, more private gatherings. The Grand Ballroom can be divided into 2 halves by a separate sound proof to cater to different weddings. Whether in their seated European pre-plated menus, their international Buffet menus or their Oriental Lebanese menus, their Chefs concoct a tailored menu with respect to the theme of the wedding using the freshest ingredients. A team of wedding events planning professionals is available to help coordinate the preparation process and make your special day a truly cherished occasion. Situated on a hill overlooking the harbor, the palace stands in Sursock Street, in the heart of Achrafieh and in Beirut's most exclusive residential area. Built-in 1860 by Moussa Sursock, it was recognized at the time as one of Beirut's grandest townhouses, today it is certainly the largest private palace of that period to survive intact, with its surrounding lush gardens. The gardens are open from mid-April to mid-November. They can accommodate 1,000 seated and served wedding guests evenly distributed between the arcades and the paved area, the grass area and the fountain area. This number is reduced to 800 guests for a seated buffet reception. For a cocktail, 1,500 guests can stand comfortably without any congestion. Edde Sands Resort offers the "full package", as they have a diverse range of locations that will appeal to all tastes and any number of guests. Also, their breathtaking landscaped gardens, beach view and immaculate atmosphere will make a perfect setting for your wedding. For a unique dining experience, the chefs strive to provide the best of a culinary experience and have menus to suit any occasion; they are more than happy to cater to any special request. The Banquet team will work along with your wedding planner with all dedication to make sure your event is a highly personalized and distinctive occasion that you and your guests will remember for years to come. The Pine Residence is the official residence of the French Ambassador to Lebanon. The Palace holds a particular historical importance since General Gouraud declared the creation of the state of Lebanon in September 1920 from its porch. The Pine Residence was built by Alfred Moussa Sursock, The construction of “Qasr es-Sanawbar” began in 1916. It is classified as a historic monument by the Lebanese Directorate General of Antiquities. La Residence des Pins is not open to Public unless on special occasions but is open for hire for weddings and special events. ﻿Nested on the bank of the ancient Lycus River (Nahr El Kalb), a two thousand years old historical and archeological site where Emperors and Kings have left their footprints, The Legend Venue is unique by definition. 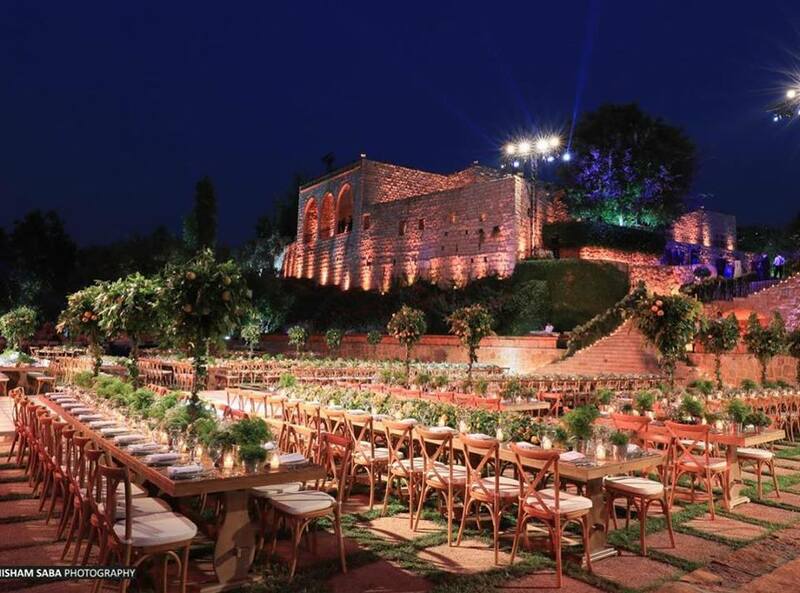 Guests are privileged by an exclusive site seeing the view of the Historical Mamluk Bridge and the 17-Arches Roman Aqueduct, overwhelmed by the sacred beauty of the natural surrounding and swayed by the gentle breeze of the river valley that flows through our venue making it the perfect spot for legendary outdoor and indoor celebrations. Today, its timeless majesty will enchant and delight, welcoming the most prestigious and glamorous weddings, corporate events and concerts. The indoor space accommodates up to 1000 persons (seated dinner) and 750 persons (buffet set up) and is operational from 15 October to mid-May﻿. The outdoor space accommodates up to 1200 persons (seated dinner) and 800 persons (buffet set up) and is operational from 25 May to 1 October﻿. 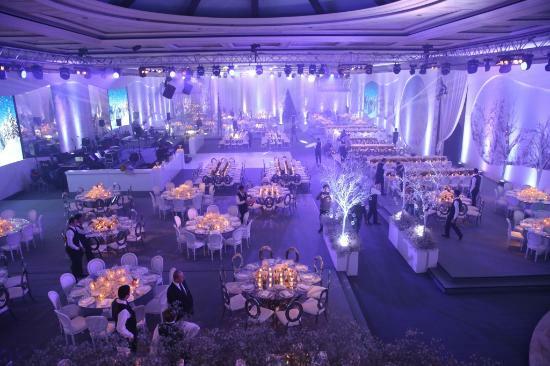 Only a 200-meter drive from the highway and at a close distance from the heart of Beirut, The Legend Venue wins it all. Chateau Rweiss was built in 1907 by the priest Boutros Abi Nasr as a private convent that does not belong to a specific congregation. It contained both a church and a small school with dorms. Chateau Rweiss has been a family legacy. The heirs of the convent decided to sell the property in the year 1969. The civil war of 1975 diminished the convent to the sheer wreckage and made it abandoned. 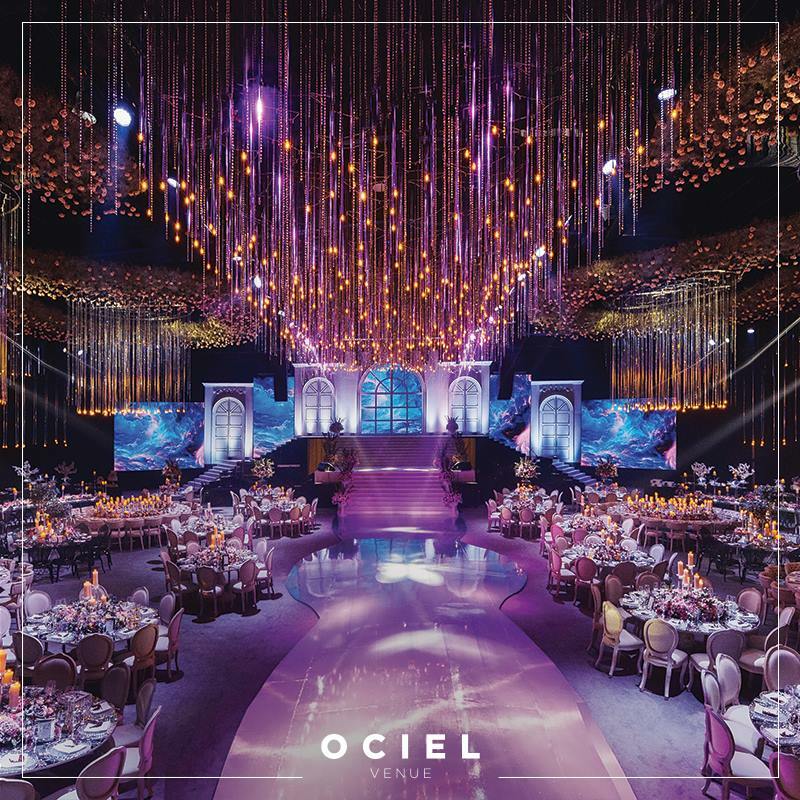 To live up to your dream of having a fairytale wedding, Chateau Rweiss offers you a sacred magical landscape to celebrate your wedding with luxury and refinement. 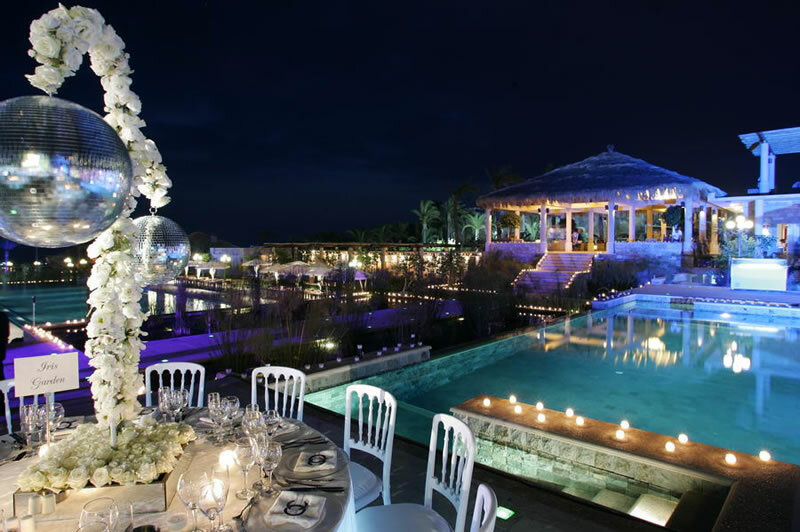 It is an ideal location to join your love with an enchanting memorable ambiance. Situated in the heart of the beautiful Chnaniir, on the hill that overlooks all other hills, Chateau Rweiss surmounts all seven crowns and strategic points of Keserwan Hills. The Beirut International Exhibition & Leisure Center, is a large multi-purpose facility, in Tohwitta, Fern el Cheback, Emile Lahoud highway Beirut. 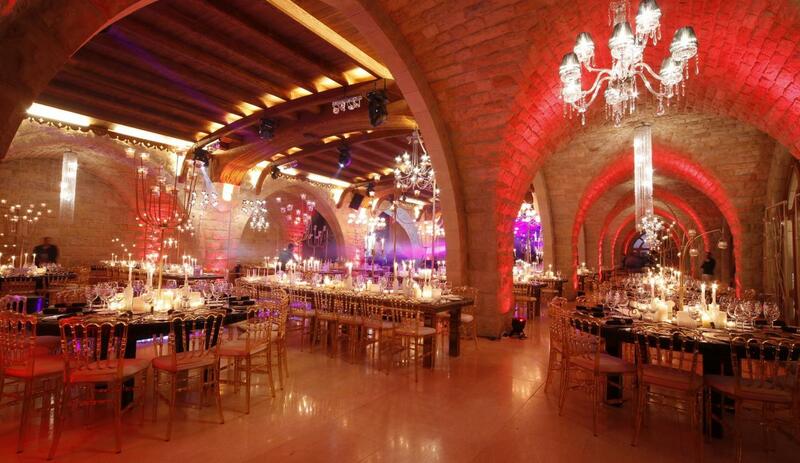 Lebanon's largest such complex, it hosts exhibitions, conferences, concerts and private events. Majestic weddings are flawlessly staged in the hotel’s exquisite settings. Grand Hills offers a luscious epicurean selection of indulging menu options. The resort boasts a spacious ballroom, a 350-seat amphitheatre, and two outdoor locations. 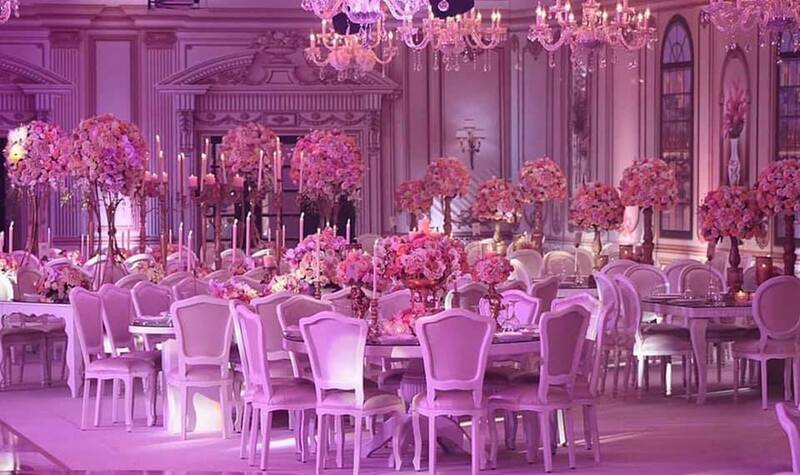 With fabled gardens and palatial ballroom experience your event with unrivaled attention to detail. A 350-seat amphitheater is an ideal venue for both patrons of the arts and captains of industry.